The Rev. Terry Jones answers reporters' questions at the Dove World Outreach Center in Gainesville, Florida. 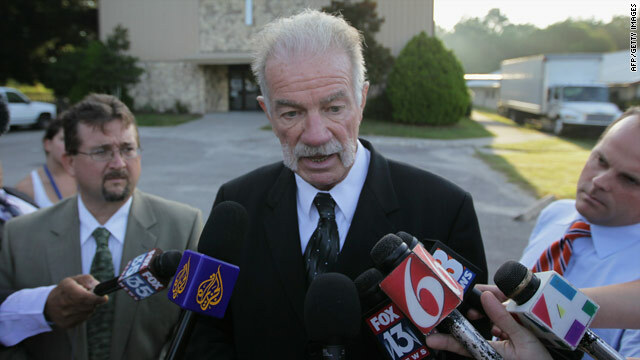 Orlando, Florida (CNN) -- The city of Gainesville, Florida, plans to send a bill estimated at more than $180,000 to Pastor Terry Jones for security costs surrounding his controversial threat to burn Qurans on the anniversary of the September, 11, 2001, attacks, a police spokeswoman said Friday. Police agencies spent more than a month working on security plans to ensure the community surrounding Jones' Dove World Outreach Center -- the planned site of the burning -- was safe, according to Gainesville police spokeswoman Cpl. Tscharna Senn. Jones also told authorities he received numerous death threats because of the planned protest, which he called off amid increasing pressure from world leaders. The Gainesville Police Department said it spent more than $100,000 while the Alachua County Sheriff's Office spent an estimated $80,000 during the weekend of the planned demonstration. "We have 286 sworn officers and almost everyone was working either at the Dove Center or at other soft targets," Senn said. "Unless you were sick or injured you were working" the day the burning was to take place. Officers secured malls in the region, the University of Florida's football stadium and areas around the church in the days leading up to the planned event. Jones said Friday that the church was "not aware that we would be billed for security." "If we had known this in advance, then we would have refused to have security," he said. Some have accused authorities of over preparing. "It's easy to say we over prepared but if something horrible had happened we would have been criticized for being unprepared," Senn said. The planned burning prompted demonstrations by Muslims around the world this week, including Iran, Afghanistan, Somalia and India.